Producer Danayya has become the centre of attraction as he is associated with Bharath Ane Nenu, Charan-Boyapati’s next and the much-hyped Rajamouli film with NTR and Charan. As Bharath Ane Nenu is ready for a release this Friday, we caught up with him for a brief interview. Here is the transcript. I have been in the industry for over twenty years. One of my dreams was to make a film with Mahesh Babu and I kept trying for many years but things did not happen. Finally, with Koratala’s help thing fell into place and that is how the project started. 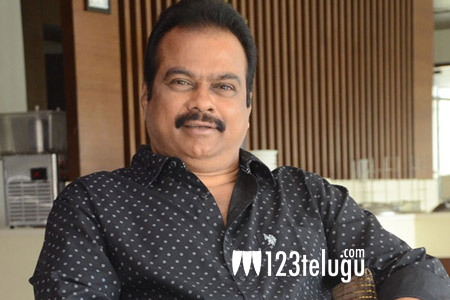 How was it working with Mahesh Babu? I had the time of my life and used to closely observe him on the sets. Mahesh used to come with high energy on the sets and after a hard days’ pack up, the smile used to be intact. The way he has performed in this film is mind-blowing and the audience will see what Mahesh as an actor can do in the film. What will you say about Koratala’s direction? The moment he narrated me the script, I was super thrilled. No one has showcased Mahesh in such a way as done by Koratala. The entire credit goes to him for writing something like this and even conceiving it on such a grand scale. Why did you choose a newcomer as the heroine of the film? We always wanted a new girl for this realistic story and Kiara fit the bill perfectly. She looks like a typical Telugu girl in the film and she had done a wonderful job in this serious film. Will the film live up to all its expectations? Yes! We have made this film with a lot of sincerity and dedication. Also, we have not at all compromised on the budget of the film and this makes the film even richer visual wise. Tell us about the Charan-Boyapati film? The action entertainer has completed two schedules and very soon Charan will join the sets and shoot for some action sequences. Any update on Rajamouli film? As of now, the pre-production of the film is on and by the end of October, we will go on floors. That film will be quite special and I am eagerly looking forward to it.